Dreambox Or Data Mining Nightmare? Finally, more than a year after it was implemented, my kids’ school is hosting an “all about Dreambox” night. It will be on an upcoming Monday, from 6-7 p.m. Childcare will not be provided. In other words, parents, please don’t actually come. Dreambox is just one of several new educational technology (edtech, for short) programs invading classrooms across the Minneapolis Public Schools. It is a math-based computer program that kids can work on individually, at school and at home. It is all about algorithims and adaptive learning, but more about that later. My youngest child is a 4th grader at a K-8 MPS site, and her class spends approximately 15 minutes per day, per kid, on Dreambox. Other parents have told me that kids as young as kindergarten are now using Dreambox at school for thirty minutes or so per week, and that some older students are being assigned Dreambox as homework. I pushed back during the last school year when I first became aware that my child’s school was suddenly using Dreambox. I asked that she not use it in class until I had a chance to learn more about it. That’s because I research and write about edtech all the time for a writing gig I have, and so, I know to be skeptical of any new educational software products. Often, the claims that precede them are little more than false fronts. Blow on them just a little and they fall right over. DreamBox is unlike other learning products, DreamBox goes beyond tracking only right and wrong answers. Using virtual manipulatives, which build from the ground up to formatively assess learning and adapt in-the-moment of learning, DreamBox continuously analyzes and understands student thinking during the learning process, understanding what strategies students are using, where their gaps are, and when they are ready for increased challenges. With this deep understanding, DreamBox identifies trajectory, pace, and path to build competency and confidence, responding to students and providing the right level of scaffolding at the right time. I know an ed tech marketing pitch when I see one, and so I popped this paragraph into Google and, of course, it comes straight from Dreambox’s own website. Parents would never know that, though, since no citation was provided along with the flowery language. One might easily assume, then, that the school staff planning Dreambox Night are so in love with the product that they wrote this themselves. That’s because we are in the middle of a gold rush here, and teachers and kids will likely be the tumbleweeds left behind when the investors pack up and leave town. In other words, adaptive software focuses on the domain – the information that’s supposed to be taught; on the student’s responses – often using “bayesian algorithms” to determine the likelihood of a student getting the next question right or wrong; and on the instruction – what sorts of hints or feedback a student might need to move forward. That’s it, right there. Programs like Dreambox, it can be argued, are less about revolutionizing education and more about repackaging traditional, top-down delivery models into market-ready, investor pleasing bundles. Yes, Dreambox is fun, as my 9 year old has informed me, but is it really about teaching and learning? Or is it more about data mining and pigeon holing kids? DreamBox is the next generation of individualized learning. DreamBox learning’s detailed data mining and analysis not only continuously adapts to the learner within a given lesson, but adapts the sequence of lessons as well. We should all pause at this and ask some thoughtful questions. Is “individualized learning” an appropriate goal for young children? Is data mining of kids all just a-ok, especially as Dreambox reps claim it harvests “50,000 data points per hour”? Or should we be wary, as parents, teachers and school administrators? Data mining, as a function of the ed tech gold rush, can be dangerous territory, although it is often what makes ed tech such an attractive investment. Think of the kids using products like Dreambox as lab rats. Their data–age, gender, location, math scores–can be packaged and sold, so that more ed tech products that offer even more tailored, individualized learning experiences can be created and sold. Of course, this is part of the bargain we all seem to make by having cell phones, using Facebook and otherwise living in a time of virtually unregulated data mining, but is this all okay for students? And are parents even aware of what’s going on? There is no doubt that educational technology can be beneficial, especially for students with special education needs. Programs that help students with dyslexia complete writing assignments without the fear of spelling errors, for example, or those that help students with autism spectrum disorders are undoubtedly appealing. And they are often cheaper to use (cheaper than lowering class sizes, of course) and reflective of the kind of gaming and online lives many students already lead. But can they ever take the place of real human interaction? At my kids’ school, Dreambox does not do that. It was brought in last year, as I understand it, in order to help teachers manage their class sizes, alongside the expectation that they–as single teachers alone in their classrooms, mostly–will at once differentiate instruction for close to thirty students while also prepping them for standardized tests and simultaneously nurturing the whole, social-emotional child. Dreambox provides a break for teachers, or so the argument goes. It allows teachers, as I have observed, to work with one small group of kids while another group takes their turn at Dreambox. In the week before winter break, I stopped into my kid’s school to help out with spelling groups. The kids in the classroom were still finishing their hour long math block (that’s an issue for another day), and I could see my daughter sitting in front of a Chromebook screen, happily chatting away with her neighbor. Once we were in the hall for spelling practice, I asked her if she had been using Dreambox. I wasn’t mad; I thought it was funny. She doesn’t really care too much about math equations or sticking with a program like Dreambox. She’d rather talk with her friends, have fun and do something creative or, perhaps, silly. She is nine, after all. So there you have it. Personalized learning: a cost-effective, efficient way to improve direct instruction through pacing, while giving young people a little more autonomy. What’s not to love? And, she adds, there’s another issue. Many recent critics have pointed out how biases, such as racial biases, can be baked into all kinds of algorithms, from search engines to credit ratings. Davis argues that educational software is no exception. “It’s going to sort students. It’s going to stereotype, put up roadblocks and make assumptions about how students should be thinking.” In other words, what’s sold as “personalization” can actually become dehumanizing. Earlier in 2018, I asked MPS to provide any contracts between the district and Dreambox. At that point, Dreambox was being implemented on a school-by-school basis; I am not sure if that has changed yet. The dollar amount per school that flows to Dreambox isn’t high, but perhaps those data points are worth more? Magnet schools may soon give way to “coordinated uniqueness” in the Minneapolis Public Schools, according to a presentation at the school board’s June 26 Committee of the Whole meeting. “Coordinated uniqueness” is an awkward bit of doublespeak crafted by local organizational consultant, Dennis Cheesebrow. Cheesebrow has been hired by MPS to help the district prepare a new strategic plan, intended to address questions about the district’s “footprint,” as well as its market share and future program offerings. The plan is in the formation stage and will be presented to the public for review later in the fall. To be clear, neither Cheesebrow nor Superintendent Ed Graff have publicly declared that magnet schools should no longer exist. Instead, a narrative is being stitched together that strongly suggests a preference for more community schools with tighter busing zones and quarter-mile walk areas. The goal is to not only reduce busing and make it more efficient, but also, in Cheesebrow’s view, to use transportation as a way to draw families to the district. In his estimation, families will be attracted by a system built around safety, consistency, predictability and sustainability. Not so much environmental sustainability, but sustainability of programming and expectations. If a school would like to develop some sort of unique program dimensions, Cheesebrow said, the district should first be prepared to support it for the next five or ten years. Busing is apparently considered a draw in this scenario because it would be used in a more contained manner, with students picked up and dropped off along shorter bus routes. Many families do appear to choose schools according to start times and bus routes, as evidenced by the public comment period at several recent school board meetings. Most district students currently get bused away from the school closest to them (at a rate of 76 percent, according to Cheesebrow) and very few walk to school. Limiting attendance zones and promoting “walkable” schools might help pivot transportation resources to high needs populations, such as homeless and highly mobile or special education students. Cheesebrow explained his theories from some interesting vantage points (including his apparent conclusion that magnet schools do not help with desegregation). He espoused, for example, a belief in unwavering district decision-making. Don’t be swayed by the presence of individual or group concerns, he advised board members. There has to be instead a “fundamental shift in strategy” that will assert the district’s commitment to its own vision, whatever that ends up being. MPS should work on emphasizing protocol, clarity and systems, Cheesebrow said. It should also choose to stick to “district interest” over any one group or individual’s interests, in an effort to worry less about public approval and more about forward momentum. This will probably sound shocking to those that want more community say in how the district is being run, but it may seem comforting to those who’ve grown weary of the sight of raucous school board meetings. Be careful, Gagnon warned. If MPS, through Cheesebrow, is talking about the need for “equitable programming” without knowing first whether or not such a thing already exists, then the public may be lead to believe that it does not exist. Further, Gagnon worried aloud that the developing Cheesebrow-Graff plan for the district is being built around Davis Center decision-making, to the exclusion of site-based, community preferences. What followed was a very telling exchange between Gagnon and Graff. Gagnon continued on, saying she would “prefer Davis as a support center that answers the call” from school and community leaders, based on what they have identified as needs and priorities for their site. In this view, Gagnon said, “communities are governing the schools and driving decisions,” with the Davis Center standing back. This is a seismic shift in thinking for a Minneapolis Public Schools superintendent. Just four years ago, under the tenure of Bernadeia Johnson, MPS moved to embrace the Community Partnership Schools model and its promise that “schools are the unit of change.” Although largely driven by outside, market-based reform interests, this model offered a tempting escape from other MPS initiatives (also embraced by Johnson), including the specious “Focused Instruction” that sought to standardize teaching practices. Johnson greatly expanded her administrative team in 2014, adding in, among other things, a newly created associate superintendent of magnets position. This was held by Lucilla Davila, a former Windom Immersion School principal who has had a controversial run as a top administrator. Tellingly, Davila’s name–and her position–were not included in Graff’s recent restructuring of his administrative team. He has shrunk the associate superintendent ranks down to three and an overseer of magnet schools is not among them. Davila has instead been reassigned as principal of Folwell Arts Magnet. Graff has not supported the Community Partnership Schools plan, which, prior to his tenure, resulted in a handful of MPS sites, including Southwest High School and Bancroft Elementary, being allowed to set their own calendars and pursue more flexible programming. Parents at Southwest, for example, were surprised to learn recently that they would not be allowed to independently select a new principal for their school, although that had been the expectation under their “partnership” school status. And where do magnet schools fit into this? At the June 26 meeting, school board chair Nelson Inz, said assuredly that magnet schools will continue to exist in MPS. But it isn’t clear how. If the goal is to move towards greater uniformity, in order to perhaps strip off the layers of chaos that have contaminated MPS, will Graff continue to support magnets? Magnets have struggled to remain relevant in the standards and accountability era, with its emphasis on test scores, benchmark assessments and panic around “failing” schools, students, teachers and administrators. To Graff’s point, he was hired as an outsider, not a likely enabler of the dreaded “status quo.” He inherited Johnson’s plans, and therefore a district that has magnet schools (a holdover from the 1970s, when court-ordered desegregation plans reigned); a handful of Community Partnership Schools; a mishmash of inner-district school choice options propped up through expensive and complicated busing routes; half-empty buildings in some neighborhoods and impossibly over-filled schools elsewhere. There are language immersion schools, IB schools, community schools, schools struggling to survive amid shifting bus routes and priorities, schools that are shrinking as new programs, plans and priorities take root. There are several charter schools opening this fall, including two in northeast Minneapolis–a neighborhood with a long history of white flight, where Edison High School stays open largely by importing students from north Minneapolis, perhaps to the detriment of North and Henry High Schools. the district’s decisions regarding school size and attendance boundaries was “public pressure not to integrate. population in the Bethune attendance area in north-central Minneapolis. McDonough also cited increasing parochial school enrollment among white students in the northeast Minneapolis area, the area from which the district sought to attract majority students to attend Bethune. Magnets: Drowning in a Sea of Competing Choice Programs? Magnets once thrived in Minneapolis, particularly in the late 1970s and early 80’s, when schools such as North High, with its strong Summatech program, actually did draw students from across the city and even the suburbs. But that was before charter schools and the Choice is Yours program, which allows MPS students to be bused to neighboring districts. There is also the Expanded Choice Program within MPS, which was created during another recent bout of shifting priorities and strategic planning. This program promises students stuck in “low-performing schools” in high poverty neighborhoods the chance to attend schools like Lake Harriet Upper and Lower School in southwest Minneapolis, where test scores are high and staffing turnover has historically been low. These days, if a school’s standardized test scores are high, people think the school’s staff is effective. If a school’s standardized test scores are low, they see the school’s staff as ineffective. In either case, because educational quality is being measured by the wrong yardstick, those evaluations are apt to be in error. —Why Standardized Tests Don’t Measure Educational Quality. W. James Popham, 1999. We have never adequately addressed the issue of the growing number of students and families who live in poverty and have instead positioned busing kids to “high performing schools” as the best escape route. If Graff can somehow shift the conversation to ensuring quality programming, stable staffing and equitable funding in all Minneapolis neighborhoods, then perhaps the coming changes will be worth it. As Graff said during the June 26 meeting, we need a comprehensive look at what our programming priorities and values are. But, right now, that seems like an afterthought, since Cheesebrow’s restructuring proposal is well under way, and there is no community engagement plan in place yet. We must invest in all public schools, rather than pitting them against one another. Our schools should anchor our communities, build partnerships with parents, residents and community institutions, and provide wrap-around services to address obstacles that often prevent children in poverty from reaching their academic potential. We must nurture the whole student, not narrow the curriculum by imposing high stakes standardized testing that forces teaching to the test. Our curricula must include critical thinking, the arts and music, while encouraging creativity. Like my work? Consider supporting it through a much appreciated donation. And thanks to those of you who already have! Will the Minneapolis Public Schools exist in the year 2040? Judging by the Minneapolis 2040 master plan, it won’t. Minneapolis 2040 is a visioning document, designed to offer a planned-for picture of what the city will look like over the next 22 years (as part of the Met Council’s Thrive 2040 project). It has been in development since before 2014, and is now in the last stages of community input. By the end of 2018, the Minneapolis City Council will vote on the 2040 plan and the vision of Minneapolis it provides. After that, assuming the plan is accepted by the Council, it will be put into action via updates to the city’s zoning laws. The zoning laws will dictate how, exactly, Minneapolis will morph into the city depicted in the 2040 draft. (Zoning issues tend to really get people’s goat.) The vision is for a city with business nodes in multi-use neighborhoods, full of green space, access to transit, bike lanes, high density housing and…no schools, it would seem. A glance through the guiding principles and priorities behind the Minneapolis 2040 draft reveal virtually no mention of the city’s public education system, or education in general. 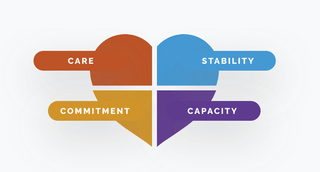 These six values are expanded upon by a list of fourteen priorities, as identified by the Minneapolis City Council. The priorities offer more information about the values guiding the 2040 plan, but again make very little mention of public education and what role, if any, schools will play in this future version of Minneapolis. After the six guiding values and the fourteen priorities comes the ninety-seven (97!) goals of the 2040 draft plan. There is one goal that specifically touches on the importance of investing in children from birth to age 5, but beyond that…nothing. 9. Complete neighborhoods: In 2040, all Minneapolis residents will have access to employment, retail services, healthy food, parks, and other daily needs via walking, biking, and public transit. Where is the Minneapolis Public Schools? Is the city of Minneapolis ghosting its own public school district? Why is there a minimal commitment to having schools in neighborhoods, or schools within walking distance of every family, as the plan spells out with parks? It is hard to imagine that this is simply an oversight, as the plan itself, and the Minneapolis 2040 website, is very thorough and full of a wealth of information, values and vision statements. If Minneapolis is hoping for double-digit growth, and is planning for this growth with equity, racial justice and equal opportunity in mind, then where does education fit in? If our collective goal is to attract more residents, where should they send their children to school? It is important to consider that the Met Council is providing the overarching guidance for the 2040 plan. The Met Council has close ties to the Itasca Project, which helped fund an ill-fated 2007 reboot of the Minneapolis Public Schools via McKinsey and Co. consultants. In the Itasca Project worldview, education should be “aligned with employers’ workforce needs”—a questionable premise that undergirds neoliberal education reform policy around the world. Some would argue, of course, that education should serve communities and help support the dynamic, democratic foundation of our society—and not just train workers for the benefit of profit-minded, globally connected businesses. But the Minneapolis 2040 plan actually appears to have its roots not in local city planning priorities, but in a 2008 document produced by the Brookings Foundation. The document, called the Blueprint for American Prosperity, was crafted by the Brookings Foundation’s Metropolitan Policy Program. It is focused on “unleashing the potential of a metropolitan nation,” and argues that cities are the place to turn when looking for ways to keep the U.S. economy at the top of the increasingly competitive global rat race. The document is long and focuses a lot on the inefficiencies and ineffectiveness of federal policies, and instead seems to position businesses and corporations as the rightful redesigners of American life. This probably has to do with who is funding the nearly century-old Brookings Foundation these days. Among the usual suspects are the Gates and Walton Foundations, which both happen to be pretty in favor of market-based, union-free education reform. According to the McKinsey Global Institute, China and India have more than twice as many young professionals in fields including engineering, finance, and life sciences research as the United States. Nonetheless, only a fraction of those workers—about one in eight by McKinsey’s estimates—would make suitable candidates for employment with a multinational corporation. The Blueprint is full of the same ideas as the Minneapolis 2040 plan, including the need for new zoning laws that prioritize higher density housing, transit needs, “vibrant neighborhoods,” less sprawl, and income inequality–but it comes at these from a business plan model, rather than a workers’ rights or family friendly angle. That’s because it is a business plan model. In 2009, the Brookings Institution approached leaders in the Minneapolis Saint Paul region about a pilot initiative to apply a business planning approach to regional economic development. Partners including the Itasca Project, City of Minneapolis, Minnesota Department of Employment and Economic Development (DEED), Regional Council of Mayors, City of Saint Paul, Target Corporation, Urban Land Institute Minnesota, started an initiative to undertake business planning for the metro area’s regional economic development. Additional funders including the Minneapolis Foundation, Saint Paul Foundation and Wells Fargo Foundation have provided financial support to the project. The Met Council, of course, also played a role in the largely taxpayer-funded creation of the new U.S. Bank Stadium, a project that has helped direct tax dollars and resources away from public education. And the funders of the Blueprint initiative that led to the Minneapolis 2040 plan—including the Minneapolis Foundation—have been key supporters of the spread of local school choice schemes at the expense of public education. I have reached out to Minneapolis city planning officials for more information on the role of schools in the 2040 plan. When I receive a response, I will add it here. If leaving the schools out of a master vision for Minneapolis’s growth was purposeful, then to what end? This fall, three new charter high schools will open in Minneapolis. Two will likely struggle to survive (Northeast Polytech; The Studio School), in the competitive pursuit of students (students bring funding). One, the Hiawatha Academy High School in the Seward neighborhood, will be buoyed by philanthropic dollars, including investment from the Walton Family Foundation (Wal-Mart dollars) and from local, wealthy supporters of market-based education reform, including the folks behind Minnesota Comeback. The school will likely pull students from Minneapolis’s Roosevelt High, a burgeoning, diverse school with urban farming classes, a Heritage Spanish program, IB classes with a career and tech education focus and…seats to fill. In a competitive, market-based school choice landscape, there will be winners and losers. The group, run by former General Mills marketing director Al Fan, maintains a “sector agnostic” vantage point. Instead of just supporting the growth of charter schools, the organization says it supports “high performing” seats in schools of any shape—public, charter, private or religious. This is a district-less vision for the future of education in Minneapolis, where neighborhoods and community schools do not particularly matter. Rather than a robust, philanthropist-driven embrace of the concept of public education (that it is a cornerstone of our democracy and a public entity worth supporting, for example), Minnesota Comeback’s ideology revolves around a partially privatized system of individual choice. A May 25 post on Minnesota Comeback’s Facebook page illustrates this very concept. The children are our future, the post claims, and right now, according to Minnesota Comeback’s standardized test-based calculations, “only 4,300” of Minneapolis’s 30,000 plus students attend a “high-performing” school. The solution, in Minnesota Comeback’s view? Embrace the scattered playing field of the school choice market. Their Facebook post advises just that. It lists twelve schools that “do well by students underserved” and have space available for the upcoming school year. Seven are charter schools with mostly segregated populations. One of those charter schools, Nompeng Academy, hasn’t even opened its doors yet, but is still being sold as a high performer, based on its affiliation with an existing charter school in Brooklyn Park. Since 2000, the testing market has roughly tripled in size, to nearly $4 billion a year, with annual achievement tests spawning a range of more frequent tracking assessments. As testing has flourished, more and more functions of the school publishing industry the have fallen into fewer and fewer hands. In 1988, ten publishers shared 70 percent of the textbook market. Today, the “Big Three” —McGraw-Hill, Houghton Mifflin Harcourt and the juggernaut Pearson—control at least 85 percent of the market. These lucky few have since expanded their offerings; Pearson hawks everything from student data trackers to online credit-recovery courses to ADHD diagnostic kits. Take a look at one of the charter schools featured in the Minnesota Comeback Facebook post. Hennepin Elementary School is a small charter school in south Minneapolis, with 338 students; ninety percent are black, ten percent are Latino. Ninety-six percent live in poverty, according to federal standards. Although Hennepin Elementary’s test scores are not exactly “beating the odds,” as market-based reform purveyors like to say, it sure is trying. The school gives its young charges “double sessions of reading and math on a daily basis” and tests all kids, even kindergarteners, on multiple occasions throughout the school year. According to a school testing calendar, kids are tested and retested on a continuous cycle. Is there any public, charter or private school in the metro area with a majority white population that is built around constant testing and test prep? Would any wealthy funder of Minnesota Comeback send their own child to a school that doubles down on math and reading, the two most tested subjects? Perhaps not. Meanwhile, the Minneapolis Public Schools is set to embark on another round of challenging conversations about the district’s “footprint,” as Superintendent Ed Graff has repeatedly said. The district is $33 million in the hole for the upcoming school year. It has seven high schools. Three of them are near or over capacity (South, Southwest, Washburn), while four are under-filled (North, Edison, Henry and Roosevelt). Then, there are the smaller, alternative high school programs run by the district, including Wellstone International, Heritage and FAIR school. That’s a lot of seats to fill. There are also finances to think about. The expansion of school choice as the solution to education issues means that one pot of money–the per-pupil, general education funds provided by the state–is getting sliced into smaller and smaller pieces. Thanks to state law, districts like Minneapolis must pay the lion’s share of both transportation and special education services that charter schools provide—with no oversight over how the money is being spent. So how do public schools fit into the Minneapolis 2040 plan? And why have they been seemingly excluded thus far? The last community engagement session for the 2040 plan is being held on May 31 at Powderhorn Recreation Center from 5:30-8:00 p.m. If there is hope for a renewal of our belief in public institutions and a common good, it may reside in the public schools. Q: What’s more jaw-dropping than a blizzard in April? A: The continued pressure tactics being used against Minnesota families who want to opt their children out of the high stakes Minnesota Comprehensive Assessment (MCA) standardized tests. These pressure tactics include the lingering, erroneous threat that students who do not take the annual MCAs will be labeled as “not proficient” just for refusing to comply. Some parents even believe that their children, if they refuse to take the MCAs, will also be labeled as special education students. This is not legally possible, since there is a rigorous process to have a child identified as in need of special education services, but it is evidence of the fear-mongering going on now, as the state’s testing season hits full swing. In 2017, under the guidance of right-leaning lobbyist groups in Minnesota, including the Minnesota Business Partnership, the state legislature reportedly pressured the Minnesota Department of Education (MDE) to come up with a new Parent Refusal form. This is the form that parents are asked (but not required) to fill out if they would like to opt their children out of the MCA tests, given each spring in grades 3-8 and again in high school. MDE then received a great deal of push back against this scare tactic, with parents, teachers and other interested parties calling or emailing them for the truth. Can students who do not take the tests actually be labeled “not proficient”? I understand that by signing this form, my student will be counted as “not proficient” for the purpose of school and district accountability…. The key change was in the language surrounding the term “not proficient.” Despite the changes to the form, there has been some confusion across the state regarding what will appear on the Individual Student Report (ISR) when a parent refusal is indicated. The student will not receive a score or a message of “not proficient” on their ISR; rather, the ISR will indicate, “[Student Name] did not participate in the test” and include an explanation that the reason the student was not tested was due to a parent refusal (REF-P). To clarify, students who opt out of the MCA tests “will not receive a score or message of ‘not proficient. '” And, in truth, MCA tests are not supposed to drive high stakes decision-making, at the school or state level. But of course, they do. Opting Out Means Missing Advanced Classes? Parents have the legal right to opt their children out of standardized testing, full stop. Despite attempts to scare parents into compliance, there is nothing schools can do to force students to take the MCAs. Unless, of course, they venture into educational malpractice by tying tests to such things as class trips, seats in advanced courses, the right to take music or art and so on. Just yesterday, a friend sent me a plaintive text message. Hey, it said, my kid’s school is telling me that if he opts out of the MCAs, he won’t be able to take Honors Math next year. Every year, policymakers across the U.S. make life-changing decisions based on the results of standardized tests. These high-stakes decisions include, but are not limited to, student promotion to the next grade level, student eligibility to participate in advanced coursework, eligibility to graduate high school and teacher tenure. In 40 states, teachers are evaluated in part based on the results from student standardized tests, as are school administrators in almost 30 states. That’s because Tienken and his fellow researchers were able to show that, by using demographic data such as family income level, they could accurately “predict the percent of students who scored proficient or above in 75 percent of the schools we sampled.” The conclusion? Standardized test scores say more about where a student lives than what kind of instruction he or she is getting. Though some proponents of standardized assessment claim that scores can be used to measure improvement, we’ve found that there’s simply too much noise. Changes in test scores from year to year can be attributed to normal growth over the school year, whether the student had a bad day or feels sick or tired, computer malfunctions, or other unrelated factors. According to the technical manuals published by the creators of standardized assessments, none of the tests currently in use to judge teacher or school administrator effectiveness or student achievement have been validated for those uses…The tests are simply not designed to diagnose learning. They are simply monitoring devices, as evidenced by their technical reports. The bottom line is this: Whether you’re trying to measure proficiency or growth, standardized tests are not the answer. Students across Minnesota are right now being subjected to high stakes standardized testing that limits, rather than expands, their educational horizons. Often, it is students of color and marginalized kids that are used as the justification for all of this ultimately pointless testing. Don’t opt out, parents are warned. If you do, you will be depriving the state of evidence that students of color are not achieving as well as their white peers. That’s because opt outs will now be counted in the not proficient category of a school, theoretically causing extra resources to be sent to those schools. But this is little more than a laughable scenario intended to shut down the conversation. The Minnesota Department of Education uses far more than MCA scores (which would include the number of opt outs) to decide which schools are truly “low performing” and in need of extra resources. It is more accurate to say that testing diverts the state’s resources away from the schools and students most in need. Standardized tests cost Minnesota over $19 million last year and the federal government only covered one-third of that tab. We don’t have enough school counselors or mental health support, but we’ve got plenty of money to subject students to high stakes data gathering. But we have plenty of money for testing. And it is not just a once per year event. Many students attend schools whose whole identity is built around test scores and data collection. Last week, I sat in on a board meeting at a highly segregated charter school in Minneapolis. I was there to listen and observe, and what I saw, right off the bat, was a whole meeting, almost, devoted to talk about test scores and whether or not students were “outperforming” the district, the state, or the odds set against them. We made sure to give the students bottled water and peppermint candy, a school administrator told the board, because that gets their brains going for all the testing they do. There was a fascinating article in the Minneapolis Star Tribune yesterday, profiling a mighty robotics team from tiny Greenbush, Minnesota. Robotics is a competitive but highly cooperative endeavor, where groups of kids work together to build robots and solve engineering problems. The Greenbush team is a knock out, winning competitions despite having a high school enrollment of just 135 students. Running a robotics team is very expensive; the article says it can cost up to $50,000 per year for supplies, travel and fees. But what the kids get out of it is this: an education that matters. Building robots alongside teammates “‘prepares the students and employees of tomorrow with real, practical skills that are relevant,'” according to Paul Marvin, CEO of Marvin Windows and father of three kids who do robotics. Could anyone say the same thing about test prep and deep data dives into standardized test scores? This past week, I also toured a private school in my neighborhood. Again, I was there to listen and observe. The students at the school do take the NWEA or MAP test, which is purported to measure growth, but that’s it. Otherwise, they are evaluated through projects and portfolios of their work, along with information gleaned from frequent parent-teacher-student conferences. These kids exit 8th grade as very self-assured, self-aware students who know how to advocate for themselves, according to the teachers present for the school tour. They also attend a school that costs, up front, $14,000 per year—far more than the per-pupil average for public school kids in Minnesota. If we sent far less of our public money to for-profit testing companies, then perhaps we could do more to make sure all kids are given the time and space needed to find their own passion and purpose. Standardized Tests: An Effective Racist Weapon? So why the hostile, threatening language around opting out in Minnesota? It’s clear that the fear tactics being deployed (opt out and your kid won’t get into advanced math) are working. But why? What is the end game? If standardized test scores were the path to greater opportunity for marginalized students, particularly students of color, then wouldn’t we be there by now? At 100-years-young this year, standardized tests have come to literally embody the American doors of opportunity, admitting and barring people from the highest ranked schools, colleges, graduate schools, professions, and jobs. Standardized tests have become the most effective racist weapon ever devised to objectively degrade Black minds and legally exclude their bodies. However, some of the greatest defenders of standardized testing are civil rights leaders, who rely on the testing data in their well-meaning lobbying efforts for greater accountability and resources. But what if, all along, our well-meaning efforts at closing the achievement gap has been opening the door to racist ideas? What if different environments actually cause different kinds of achievement rather than different levels of achievement? What if the intellect of a poor, low testing Black child in a poor Black school is different—and not inferior—to the intellect of a rich, high-testing White child in a rich White school? What if the way we measure intelligence shows not only our racism but our elitism? “Why You Can Boycott Standardized Tests without Fear of Federal Penalties to Your School” from Fair Test http://www.fairtest.org/why-you-can-boycott-testing-without-fear. Opt Out Minnesota Facebook page. Why are More American Teenagers Suffering From Anxiety? 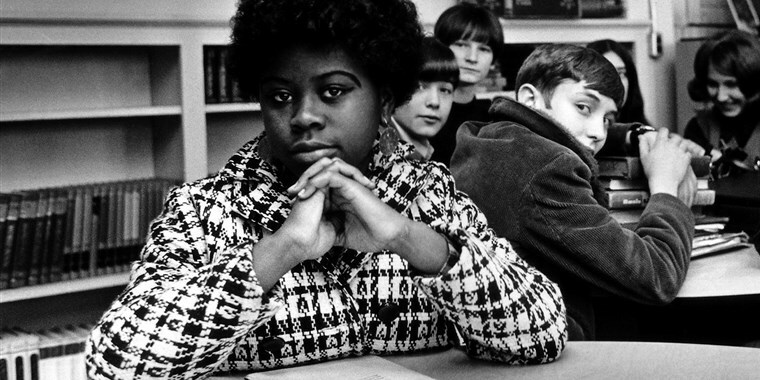 In 1979 Linda Brown—who was now a mother with her own children in Topeka schools—became a plaintiff in a resurrected version of the Brown v. Board case that sued Topeka schools for not following through with desegregation. This 1979 lawsuit was not settled until 1993, when a judge finally approved a desegregation plan for the Topeka schools. I hadn’t realized before how powerful Brown was, nor how long she had fought for equal access to integrated, well resourced schools. Students of color who attend racially and economically isolated charter schools are far more likely to be suspended or expelled from school than their white peers. This problem has actually been widely acknowledged—when these students of color attend public schools. 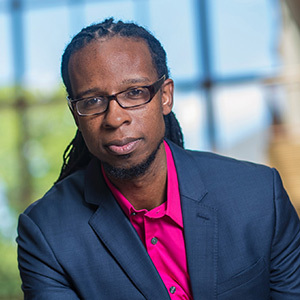 A March 18 article in the New York Times, by Erica L. Green, took a long look at discipline rates in Minnesota’s public schools, with a special emphasis on racial disparities in the Minneapolis Public Schools. “Why are Black Students Punished So Often?” the article’s headline asked, before pointing to Minnesota as a central case study. Last year, districtwide, black students were 41 percent of the overall student population, but made up 76 percent of the suspensions. But what Green’s article does not cover at all is this: the highest school suspension and expulsion rates for students of color can often be found in the Twin Cities’ ever-expanding landscape of highly segregated charter schools. In fact, some of the local charter school networks with the highest discipline rates have long enjoyed reputations as “beat the odds” schools that supposedly serve students of color better than the Minneapolis Public Schools. First, a data dive overview. The Minnesota Department of Education (MDE) collects statistics on student discipline rates (called incident reports) for all of Minnesota’s public and charter schools. Only suspensions, expulsions and exclusions (a shorter term expulsion, as I understand it) are included in the state’s discipline data. The Minneapolis Public Schools also keeps track of student discipline incidents, thanks to a publicly accessible “data dashboard.” Unlike MDE’s more limited reporting, the Minneapolis schools provide a wealth of information. All discipline incidents are reported for every site in the MPS system, from the more extreme suspensions, expulsions and referrals to law enforcement, to the milder “Other” category that may include phone calls home to parents or guardians. The MPS data dashboard allows interested citizens to drill down on a per-school basis, seeing how many students at any school site were disciplined in a given year (going back to 2013-2014). One can find out how many special education or advanced learners were disciplined, for example, or how many Native, African-American or white students were cited. It is also possible to pick up another important but often overlooked discipline data point: one student may be responsible for multiple discipline incidents. This is an intense level of disaggregated data that allows for a higher level of public scrutiny and oversight. There is no comparable data dashboard for charter schools, which are publicly funded but privately run. Instead, to find out what is happening with discipline in charter schools, it is necessary to use the state’s more limited data reporting system. Simply put, there is less public information regarding what happens to students in charter schools. Eric Mahmoud has run the Harvest Network of charter schools for many years now. His portfolio of schools, all on Minneapolis’s northside, has expanded to include a small list of very segregated K-5 and K-8 schools. A banner on the network’s website promises that “College Starts Here!” But discipline rates for the network’s students of color are off the charts. Take the Mastery School. This K-5 Harvest Network school is praised on its website for having small class sizes as well as an “African American focus.” It has just over 150 students. According to the Minnesota Department of Education, 95 percent of Mastery’s students identify as black. 81 percent live in poverty. In 2016-2017, the school reported 85 discipline incidents to the Minnesota Department of Education. That adds up to an incredibly high discipline rate of around 55 percent. Keep in mind, these are young, elementary school students being suspended or expelled. The Harvest Network has deep ties to Minnesota’s philanthropist community, with venture capitalist and charter school champion, Ben Whitney, acting as vice chair of the network’s board of directors. Whitney is also a prominent member of Minnesota Comeback, the local education reform outfit with national ties that is funded by philanthropic heavy-hitters including the Walton Foundation of Wal-Mart fame. It seems fair to ask: What exactly are charter school funders and board members supporting? KIPP is a charter school that operates out of a former Minneapolis Public Schools building in the very northern corner of the city. It currently serves 337 students in a range of grades, including K-2 and 5-8 (with plans to add grades 3 and 4, according to the school’s website). State records show that 92 percent of KIPP’s students live in poverty and 96 percent are listed as Black/African American. Four students in the school are white although it sits in Minneapolis’s Shingle Creek neighborhood, which is 41 percent white. In 2016-2017, 80 discipline incidents were reported to the state by KIPP. That is a suspension rate of just under 25 percent, given the school’s total population of 337 students. That is more than double the rate of the Minneapolis Public Schools. According to MDE data, 100 percent of the discipline incidents at KIPP were directed at black students. For a more relevant comparison, consider Minneapolis’s Bethune Elementary School. Like KIPP, it is located in north Minneapolis and serves a majority black population, with 95 percent of its students living in poverty. In 2016-2017, Bethune reported five suspensions—nowhere near the 80 serious discipline incidents KIPP reported. KIPP, it must be pointed out, is part of a national network of charter schools with close local and national ties to Teach for America. It enjoys tremendous, bipartisan political and philanthropic support here as a “gap-closing” alternative to traditional public schools. Notably, Cam Winton, policy advocate for the Minnesota Chamber of Commerce, sits on KIPP’s board, as do many others with ties to corporate entities such as 3M and General Mills. KIPP is also listed as one of the “Team Members” for Minnesota Comeback, the reform outfit that would like to create “30,000 rigorous and relevant seats” for Minneapolis kids, using a “sector agnostic” framework. Again. What are these high-profile, right-leaning civic and political leaders supporting via charter schools like KIPP? Hiawatha Academies is another philanthropist supported charter school network. While KIPP serves a majority of black students, Hiawatha’s student population—spread out at the elementary and middle school levels, with a new high school set to open in the fall of 2018—is mostly Hispanic (89 percent of students). Hiawatha Academies, which is another “beat the odds” partner for Minnesota Comeback, serves around 1,200 students. It’s discipline rate is higher (14 percent) than that of the Minneapolis Public Schools (10 percent), particularly for Hispanic and black students. Even charter schools without ties to corporate supporters or wealthy philanthropists tend to discipline their students at high rates—when those students are kids of color who live in poverty. Example: Sojourner Truth Academy is a Pre-K-8 charter school in north Minneapolis. It’s been around since 1999, and, according to its website, the school’s mission is to “prepare children for the future by building confidence and a strong sense of self-worth through small classrooms and an open, safe, family-like environment.” State records show that 96 percent of the school’s 379 students live in poverty and 99 percent are students of color. In 2016-2017, Sojourner Truth Academy had 173 discipline incidents worthy of either suspension or expulsion. That is a rate of nearly 50 percent. Prairie Seeds Academy is a K-12 charter school in Brooklyn Park, just across the border from north Minneapolis. In 2017, the school tallied 769 students. 64 percent are Asian, its largest demographic group. 77 percent of all students live in poverty. In the 2016-2017 school year, Prairie Seeds Academy racked up 277 discipline incidents. The vast majority of those incidents (172) went to black students. Considering there were only 165 black students at the school in 2016-2017, that number is astoundingly high. The Minnesota Transitions Charter School network, based in Minneapolis, serves a wide variety of students (online, in school, sobriety high school) in a diverse collection of small charter schools. The network’s total population in 2016-2017 was just over 3200 students; 60 percent were white. Minnesota Transitions Charter Schools reported 310 discipline incidents in 2016-2017. Eighty percent—or 248—of those incidents were handed out to black students, who make up 21 percent of the school’s population. The school’s white students accounted for 14 discipline marks. What about segregated white charter schools? Local charter schools that serve mostly white students have nearly non-existent discipline rates. Twin Cities German Immersion and Nova Classical Academy—two St. Paul-based charters with virtually all white student bodies—had so few incidents to report in 2016-2017 that there is no state data available for the schools. Great River Montessori, another mostly white, middle class charter based in St. Paul, reported only 14 discipline incidents in 2016-2017 for a student population of around 300. Majority white charter schools have very low, mostly statistically insignificant discipline rates. Majority white Minneapolis Public Schools sites are the same. I can’t find any suspension or discipline incidents to speak of when I look at data from Minneapolis’s Lake Harriet Lower School, a K-4 site where 85 percent of students are white and 6 percent live in poverty, according to federal guidelines. Burroughs Elementary, another southwest Minneapolis K-5 site with a majority white population (75 percent) had a handful of discipline incidents (but no suspensions) last year. The majority involved white students. Dowling Elementary, a fairly well-integrated Minneapolis school near the Mississippi River, had a student population of 499 last year, and racked up just one suspension. However, Minneapolis’s Hall International Elementary School (a Pre-K-5 MPS site in north Minneapolis) has some troubling statistics. 93 percent pf the school’s population is students of color. 93 percent live in poverty. The school had 43 suspensions in 2016-2017. 41 of those went to African-American students. What is the pattern here? Wherever there are highly segregated schools made up of marginalized students of color, discipline incident rates tend to be very high—even when the students involved are quite young. This goes for public schools and charter schools, including those sites celebrated for “outperforming” the Minneapolis Public Schools. Does this mean that students of color who live in poverty behave poorly, as some noxious commentators have recently suggested? Does it mean that all schools–public or charter–that serve segregated, non-white populations are poorly managed or staffed by teachers who, as a Minneapolis schools administrator states in Green’s New York Times article, “only see” black (or Native) children when there’s trouble? The data doesn’t tell us any of this. It does tell us that charter schools full of vulnerable students—students in crisis, living in poverty, or bearing the worst of America’s racist and classist legacies—have discipline rates equal to or often greater than that of the Minneapolis Public Schools. This should tell us that school choice schemes have not solved the problem of separate, segregated and very unequal schools. Rest in power, Linda Brown. Since 2000, according to his own estimation, Bill Gates’s philanthropic foundation has dedicated $1 billion to the remaking of America’s schools. Speaking at an urban education conference in 2017, Gates said he hopes to address disparities in outcomes between students of color and their white peers. While noting that race-based differences in school success measures are still a problem, Gates makes it clear that he still believes in schools as the “unit of change” when it comes to boosting student achievement. Never once in his speech did Gates mention the broader inequalities—from immigration status to lack of prenatal care—that impact students’ lives. Instead, as outlined in his 2017 speech, Gates and his foundation have maintained a laser focus on what happens inside the classroom or, in the case of its promotion of charter schools, on what type of school kids attend. From Ronald Reagan to Clinton, Bush, Obama and now Trump, the federal government has supported a Gates-like view of education policy by promoting everything from a national, standardized curriculum (Common Core), to the continued use of testing to rank teachers, schools, and students. But there is a different perspective available, thanks to a new report from the Boston-based Schott Foundation. Called the “Loving Cities Index,” the Schott Foundation report looks at multiple and intersecting factors that create unequal opportunities for students—often before they ever set foot in a public school classroom. Schott Foundation researchers did a deep dive into ten U.S. cities from Long Beach, California to Springfield, Massachusetts and points in between, evaluating four “areas of impact”: Care, Commitment, Stability, and Capacity. Cities across the United States are built around policies rooted in “implicit racial bias at best, and explicit racism and hate at worst,” the report argues. The result is that too many families still lack access to healthcare, job, and housing options that would provide a solid foundation for their children’s academic success. Over 40 percent of students of color across the country attend schools where at least three-quarters of the student body live in poverty or are considered low-income, the report notes. In contrast, just over 7 percent of white students attend these same types of schools. No city scored well on the Schott Foundation’s Loving Cities scale. Minneapolis and Long Beach were at the top, offering just over half, on average, of what the Foundation believes kids need to thrive, including healthy food, safe neighborhoods, reliable public transportation and access to advanced coursework. Charlotte, North Carolina, was the lowest performer, along with cities like Chicago, Philadelphia, and Little Rock, Arkansas. These cities were flagged for offering just over one-third of the social and environmental support services deemed necessary for greater student, family, and community success. Some of the solutions offered by Loving Cities include school support staff who can coordinate “with community partners to bring outside resources inside schools—from immediate needs like food or clothing to more complex ones like counseling or emotional support.” The report also describes the need to address “white-washed” teaching of our history of oppression, and the importance of building a common understanding of how we have historically created opportunity gaps. Another important part of the equation involves “progressive” school funding policies, with sufficiently high funding levels and higher rates of funding for high poverty districts. By zeroing in on segregation, environmental racism, police brutality, and unfair banking practices, for example, the Schott Foundation offers a seismic shift in how policy makers, philanthropists, and the general public can approach education reform. The Schott Foundation offers a seismic shift in how policy makers, philanthropists, and the general public can approach education reform. This is a radical departure from the market-based reform model pushed by Republican and Democratic leaders, along with billionaires like Bill Gates, and venture capitalists eager to take a crack at reshaping—not to mention profiting from—America’s “untapped” public education system. In other words, promoting school choice as the solution is a distraction from the basic fact that parent income, along with interrelated racial and economic segregation, remain powerful determinants in the quality of education a child receives. This piece was originally published by The Progressive. On March 14, interim Minneapolis Southwest High School principal, Karen Wells, sent an email home to families, informing them that a “small fight” had taken place during the day, as Southwest students participated in the National School Walkout. It did not end there. Rumors raced through the school, with fears of gun violence and retaliation causing some parents and students to skip school today and reach out to the Minneapolis police for information. Parents are reporting that school officials determined there was no credible threat, although extra security measures were apparently taken at Southwest today. Now, the flames are being fanned by Olivia Anderson-Blythe, a reporter for the Republican aligned, questionably funded, Alpha News site. On Twitter, Anderson-Blythe and a group with the Twitter handle “CrimeWatchMpls” have been retweeting one another about reports of violence at Southwest High School. The CrimeWatch group has an accompanying Facebook page full of comments about “snowflakes” and kids who don’t appreciate the gift of a taxpayer-funded education. Anderson-Blythe published another story about Southwest High School on March 13, after apparently attending (and recording) a community meeting that was held at the school on March 8. That meeting was called at parents’ request after a lunchroom fight between two students was videotaped and shared on social media sites. The March 8 meeting was led by Carla Steinbach, Associate Superintendent for the Minneapolis Public Schools, with Southwest administrators, Wells and Tara Fitzgerald, also weighing in. Although the fight and the administrators’ supposed Draconian response (students were not allowed to leave the lunchroom during the fight, nor were they then given passes to leave class) was the official reason for the meeting, many other concerns and questions arose during the 90 minute session. Inequity and racial tension dominated the conversation, yet the meeting seemed to end on a high note, with Steinbach enthusiastically calling Southwest a “great school,” and other parents and administrators agreeing to come together again soon for more dialogue. Still, it was impossible to ignore an elephant in the room: the school’s administrative team was “decimated in 2017,” a parent stated, leaving, perhaps, unprepared leadership in charge. Longtime Southwest principal Bill Smith was pushed out last summer, along with two assistant principals, Sue Mortensen and Brian Nutter. Although an Office of Civil Rights complaint was rumored to be the reason for the shake up, sources say that it was instead an internal investigation prompted by allegations of race-based discipline disparities that led to the changes. In place of these three, Southwest has largely been managed this year by Wells, who has no high school administrative experience, and Fitzgerald, who was previously removed from her position as principal of Northrop Elementary School. This has proven problematic in the eyes of some, as Southwest is the district’s largest and arguably highest profile high school. Others, though, have praised Wells for working well with the school’s large population of students of color. Southwest often gets dinged for its position in one of the whitest, wealthiest corners of the city. Still, it serves over 700 students who live in poverty, according to federal guidelines, and 45 percent of its 1,800 kids are students of color (per Minnesota Department of Education data). Successfully meeting the needs of a wide swath of the city’s population is undoubtedly challenging, especially in this era of videotaped fights and real or alleged threats of gun violence, not to mention pending budget cuts and administrative upheaval. Minneapolis Public Schools (MPS) is prohibited from sharing details of the brief fight that occurred on March 14 across the street and off school property. MPS does not condone fighting or disrespectful behavior. When it happens, we follow the same behavior and safety guidelines for all students involved. obligation is to create spaces for students to learn this skill. MPS’s diversity is one of its greatest strengths and helps students grow into well-rounded, global citizens. It is important to maintain a safe, positive learning environment for each Minneapolis Public Schools student in every one the District’s schools, and we are committed to doing that. 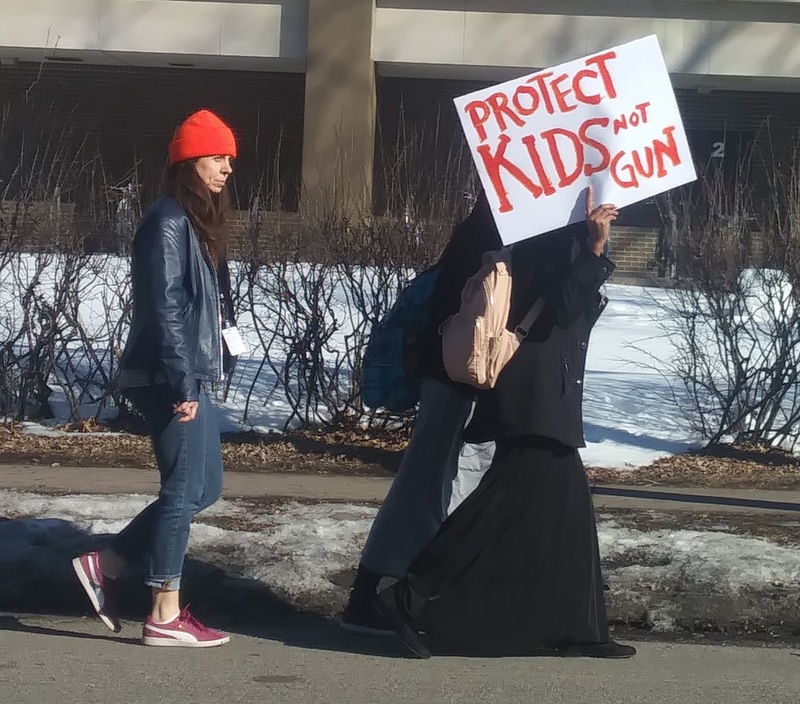 On March 14, hundreds of Minneapolis South High School students quietly walked around the school’s perimeter for seventeen minutes as part of the National School Walkout. Today, they are nervously waiting to see which of their teachers will get the ax as budget cuts roll through the Minneapolis Public Schools. It’s on everybody’s mind, according to my daughter, who is a student at the school. She is wondering if there will be a list of those who get laid off. How will we know who it is, she asked me. She is pretty sure her language teacher this year will be on the list. This is the teacher that my daughter has come to respect immensely this year, for teaching the kids not just French–her official job–but for talking a lot about gender equality and justice, and about the cultural and racial tensions that exist within the traveler’s paradise of Paris and France. She’s a fun teacher who has the misfortune of being new to the Minneapolis Public Schools. I feel sick, Mom, my daughter wrote to me. On March 14, I went to South to observe the student walkout. It struck me as a solemn thing of beauty, as sort of an unexpected picture of what an integrated public high school looks like. There were kids in letter jackets and hijabs, parkas and shorts. Some had hair dyed blue; others sported afros or up-dos. There were students in khakis and some in chunky high heels, moving as smoothly as possible down the icy sidewalk. 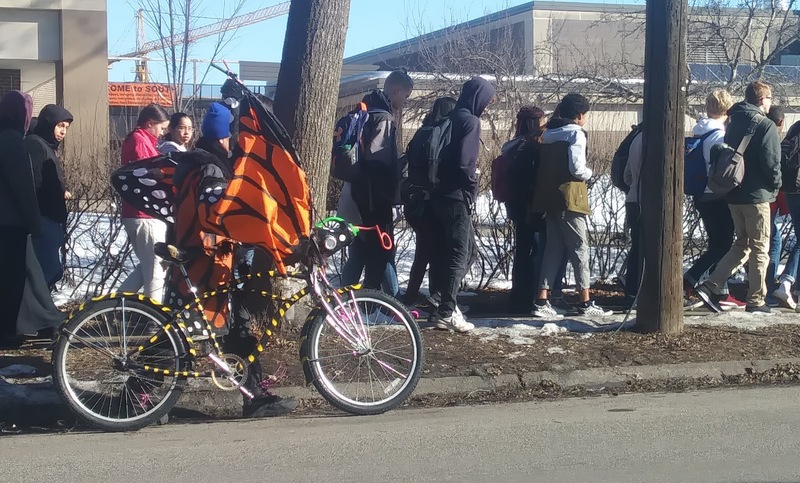 There were ear buds, ripped jeans, and a woman dressed as a butterfly, riding beside the kids on a bicycle decked out with orange and black wings. Two blind students walked with the help of classmates and canes. A teacher in a plaid shirt huffed along alone while a girl in sheer black tights and pink high tops bounced ahead of him. Three girls in long skirts marched close together, forming a barrier against the early spring wind. A car barreled past, honking in support but missing the point that this was a mostly silent walkout in honor of victims of gun violence. There were black hoodies and someone in a shimmery purple coat. A student in a gray fedora was pushed along in a wheelchair. At 10:17 a.m., the school’s bell pierced the quiet. Kids started to peel off and duck back through the school’s double doors, painted in bright orange (half of South High’s orange and black colors). As I drove away, I noticed blue plastic bags tacked onto the scrawny looking trees surrounding South. They are there as part of an “integrated economics/science lesson,” according to South’s Twitter feed. Mr. Patton, a teacher in the school’s American Indian All Nations program, is teaching kids how to turn sap into maple syrup. The bright blue of the syruping bags struck a sweet note amid the beige block windowless world of South. I hope this teacher can stay at South. I hope the maple syrup lesson will be here next year. I hope people in Minnesota begin to understand, as Governor Mark Dayton said on March 14, how “badly the state’s financial support…slackened” when it comes to public education. Minnesotans understand the importance of education, but what most don’t realize is how badly the state’s financial support had slackened in the years before I became governor. When I started, the state’s funding for elementary and secondary education per $1,000 of personal income, was in the bottom half of the fifty states. Most recently, we ranked 18th, according to the Minnesota Center for Fiscal Excellence. That’s better, but it’s not good enough. And it explains why our public schools are constantly having to hold special property tax referendums to ask for what should be funded by the much more progressive state income tax. 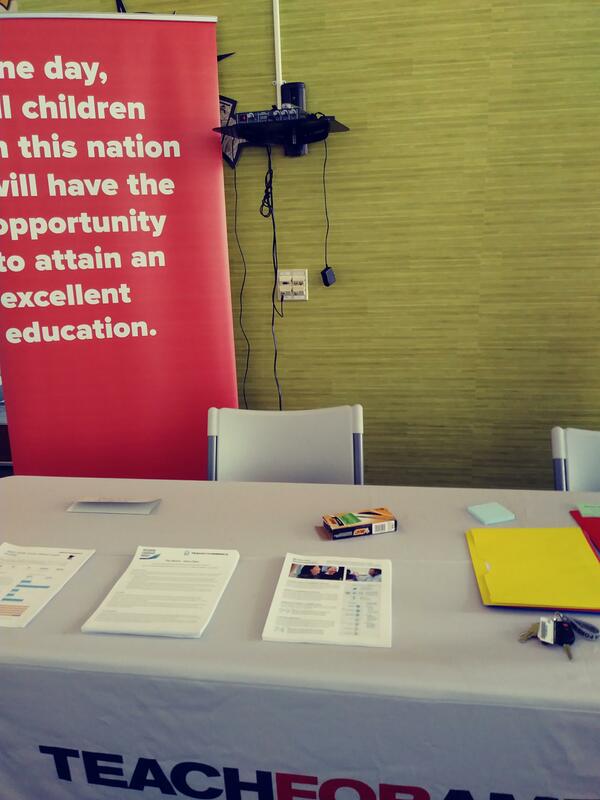 A Teach for America recruitment event was held March 2-3 at the Minneapolis Public Schools’ Davis Center headquarters, just as schools across the district are being hit with a familiar reality: budget cuts. The district is grappling with a $33 million budget shortfall for 2018-2019. Cuts to teaching staff, along with increases in class sizes, are expected to be part of the answer to this large deficit. Although details are still being finalized, some Washburn High School community members, for example, are reporting a projected loss of 16 full-time positions for the coming school year. Minneapolis’s other large high schools, South and Southwest, are also expected to lose key staffing positions, on top of years of previous cut backs. As tough budget decisions hit schools, parents and staff are expressing concern on public Facebook pages, noting that classes of 27 kindergarteners and 30-40 middle and high schoolers are already the norm in many schools across the district. Glass’s LinkedIn account indicates that he was a 2015 “Leadership Fellow” for KIPP, one of the charter schools featured at the March 2-3 TFA recruiting event. At the time, he was also working for the Minneapolis Public Schools as a Special Projects Coordinator, leading to recent, controversial “fox in the henhouse” allegations from the Minneapolis Federation of Teachers. Several other MPS employees were also listed as being part of the event, including administrators and teachers from Roosevelt High School, Green Central Community School and Andersen United Community School. They were joined by a roster of charter school operators and TFA employees, as well as state legislator and education reform advocate, Carlos Mariani. Many district staff and school board members privately reported feeling caught off guard by the TFA event, saying that they had no idea it was taking place at the Davis Center. In an official statement, however, Minneapolis Public Schools Human Resources staffers (including Glass and HR director, Maggie Sullivan) confirmed that they agreed to host the TFA event for free, in exchange for being allowed to attend without paying a registration fee. As a Teach For America corps member, you’ll be a full-time teacher for two years at the preschool, Pre-K, kindergarten, elementary, middle, or high school level, with the opportunity to lead real change and make an immediate impact on your students and the community you serve. You’ll gain access to numerous graduate school and employer partnerships that will help you advance your career and leadership trajectory. To be considered, the posting advises, applicants must have at least a 2.5 college GPA. In other words, TFA is part of a long game, designed to facilitate the spread of publicly funded, privately managed charter schools. Those schools must come with a more pliable (inexperienced), non-unionized (mostly) workforce of recruits who have been told that their often temporary presence is the way to help foster greater “educational equity” in the United States. It must be made clear that TFA is a polished, billionaire-backed seat of “innovation,” with an expansive PR network. They have become skilled at positioning their organization as the seat of change for marginalized students of color, and many high level policy makers and financiers from across the political spectrum have bought into this pleasing narrative. It is pleasing, I suspect, because it seeks to disrupt teachers unions and traditional, taxpayer-funded, democratically run school boards and districts while simultaneously not asking for systemic change. Northeast College Prep. Ninety percent of students live in poverty, according to federal guidelines. Close to ninety percent are students of color. Prodeo Academy: Eighty-seven percent of student live in poverty; ninety-eight percent are students of color. Loveworks Academy. One hundred percent of students live in poverty. Not one white student attends the school. The TFA recruitment event included sessions on whether or not ALL (their caps) students are being served in Minnesota’s schools. This is the wedge issue that groups like TFA use to draw comparisons between “schools of choice” (charters) and public school districts. It is a narrative of competition, with some kids and schools “beating the odds” while others go on struggling. This is market-based education reform dressed up in progressive clothing, where wealthy investors pick winners and losers rather than insist that the state of Minnesota fully fund its public schools. Is this really the type of organization, or event, that the Minneapolis Public Schools should be hosting, for free? *For those of you who have continued to ask for an update on the district’s enrollment director, to my knowledge, student placement decisions are still being handled by Bryan Fleming, the MPS Enrollment Manager with a side, school choice consulting business. 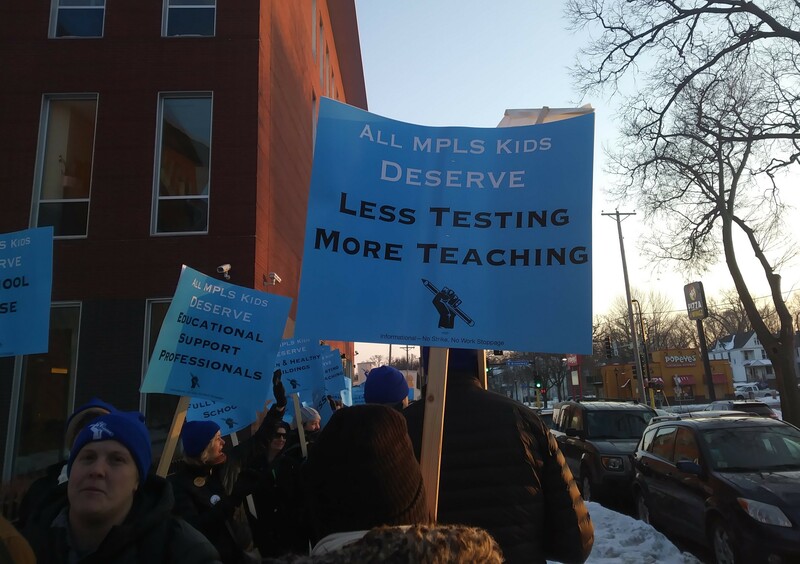 If education reform is a political game, and it is, then it looks like the Minneapolis Federation of Teachers (MFT) is winning. Here’s why. On February 13, the union held an informational picket line, meant to rally members and raise public awareness of the issues MFT says it is fighting for. That includes clean buildings, less testing, and smaller class sizes. 1,000 people showed up to walk the picket line in freezing, late afternoon temperatures. They hoisted signs and banged on drums while passing vehicles honked and waved in support. Whatever you think of union politics, it was an impressive show of force. Once the picket line ended, the action moved inside the Minneapolis Public Schools’ Davis Center headquarters, where a regularly scheduled school board meeting was getting underway. The spotless front entryway of the building, with its walls dotted in elementary school kids’ colorful art, was so packed with union supporters that elbow room was impossible to come by. With boot-clad feet stamping the floor, a chant of “We are the union, the mighty, mighty union” took shape before teachers, kids, parents and community members marched through the school board room. The mood was unmistakably buoyant. It comes amid contract negotiations between MFT and the Minneapolis schools. According to a Star Tribune article, the district would like to hold mediation sessions over typical business items such as wages and benefits. Across the table, however, the union, like its counterpart in St. Paul, is attempting to use its contract as a way to advocate for the “schools Minneapolis kids deserve.” Labor laws in the United States favor management on this one, with precedent given to restricting union negotiations to boilerplate contract issues. But there is a growing trend of labor groups embracing “social justice unionism,” where the contract becomes a way to reframe the failure narrative dogging public schools. In cities like Los Angeles, Chicago, Seattle, St. Paul, and now, Minneapolis, this movement has pushed back against the plutocrat supported assumption that schools and teachers are failing kids. 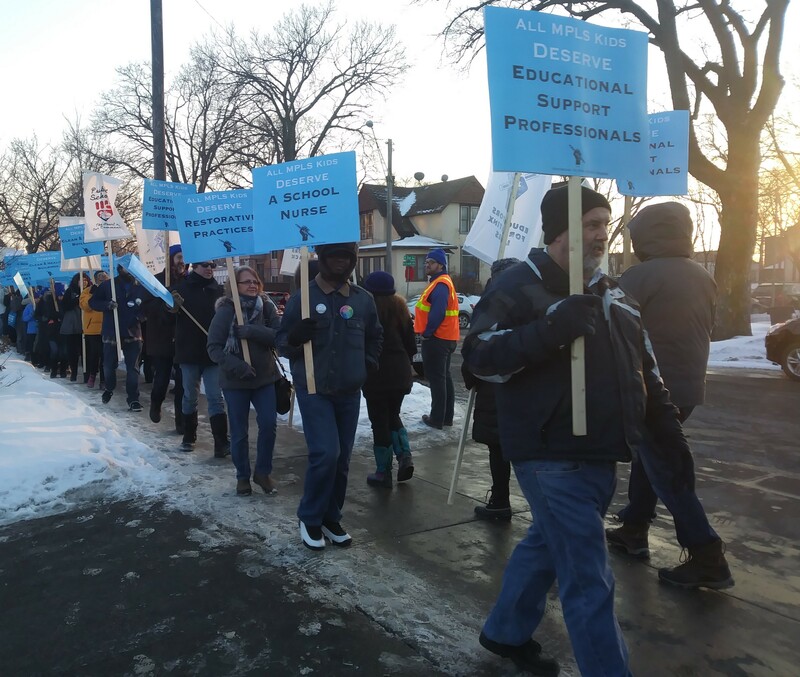 On February 7, almost one week before the MFT rally drew one thousand supporters, the local education reform outfit, Minnesota Comeback, held their own rally at Minneapolis’s Capri Theater. This was billed as a quarterly gathering for the group’s community members and was a much more sparsely attended, subdued affair than MFT’s more celebratory one. It may be because the intended audience was much different. A handful of politicians, including St. Paul state legislator, Carlos Mariani and state auditor hopeful, Jon Tollefson, were there, along with a few people who identified themselves as charter school parents. Al Fan, director of Minnesota Comeback, started the gathering off by identifying his organization’s goals. “We want to triple the number of students enrolled in proven schools by 2022,” Fan promised, before noting that this does not include “every kid.” This seems to imply that, although Minnesota Comeback is funded by some of Minnesota’s wealthiest individuals and foundations, its official position is that some kids will simply be left behind. This is the root of the kind of market-based, “sector agnostic” approach to education reform that Minnesota Comeback represents, especially given its ties to the national, billionaire-funded group, Education Cities. Their “theory of change” is that schools fail kids, not a society grossly hamstrung by racial and economic inequality. Throwing philanthropic dollars around, as Minnesota Comeback does, is increasingly seen as justification for capitalism’s excesses and, many argue, does little to address the complex historic and current problems that hold some kids and schools back. Rather than fighting for an increase in minimum wage for all, as both the St. Paul and Minneapolis teachers unions have done, for example, Minnesota Comeback talks about “schools as the unit of change,” where the lucky will land–through the wonders of school choice–in the right kind of life-altering spot. It is a compelling one. Jeffries has overcome a lot, as a child of Newark’s South Ward. His mother was murdered when he was just ten, and his father was not part of his life. Thankfully, as he pointed out, his grandmother steered him towards the Boys and Girls Club of Newark, where he was encouraged to apply for a scholarship to a prestigious local private school. Once there, he soared, and eventually graduated from Columbia Law School. After returning to Newark and helping to set up a KIPP charter school, which Jeffries said his own kids now attend, he has gone on to become a partner in a law firm. He is also the current president of the once-prominent group, Democrats for Education Reform (DFER). This group’s influence reached its zenith with the Obama administration, when Obama and his secretary of education, Arne Duncan, proved willing to embrace DFER’s Wall Street-funded goals of promoting school choice, blocking the power of teachers unions and otherwise carrying water for elite interests. Jeffries then waded into the “unions vs. reformers” squall by saying DFER bore no “categorical opposition to labor.” However, he noted, unions are part of crafting a “scary narrative,” by saying reform groups like DFER and Minnesota Comeback are just “corporate” and affiliated with hedge funds. Which, of course, they are. Both Minnesota Comeback and DFER, especially under Jeffries, have taken pains to call out white supremacy and its impact on public education, yet they are very quick to defend their ties to the purse strings of very wealthy, very elite, powerful people and institutions. It’s hard to square this, though, with Jeffries’ other insights. He repeated later that “white supremacy must be dismantled,” yet he said he “loves Teach for America”–a politically powerful reform outfit heavily funded, again, by billionaire investors. In a later conversation, Jeffries also said he supports standardized testing over “five million teachers doing their own thing,” which would seem to be at odds with his belief that schools need to celebrate and uphold marginalized students. At first glance, “Democrats for Education Reform” (DFER) may sound like a generic advocacy group, but a closer review of its financial filings and activities shows how it uses local branding to help throw the voice of huge Wall Street players and other corporate interests from out-of-state. DFER is actually the more well known PAC arm of Education Reform Now, Inc. (ERN), a 501(c)(3) charitable nonprofit, and Education Reform Now Advocacy, Inc. (ERNA), a 501(c)(4) social welfare group. Their acronym not only sounds like the word “earn,” but also it has the backing of some really huge earners. Or maybe, as the Minneapolis teachers union has insisted, the conversation should turn towards the kind of conditions kids today are living in, with a bottoming out of public support for their families and schools. Judging by the throngs of teachers and parents who walked the informational picket on February 13, their message might just be catching on. No hedge fund dollars, no union paycheck. Your generous support is greatly appreciated! And many thanks to those of you who have already donated. Dan McGuire on Dreambox Or Data Mining Nightmare? Julie Landsman on Dreambox Or Data Mining Nightmare?